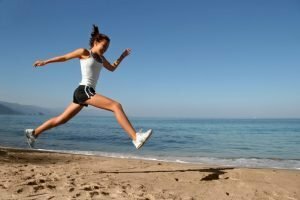 HowFaceCare.com > Beauty > How to Get Rid of Flabby Skin without Plastic Surgery in 6 Effective Steps? The causes of flabby skin very often depend on the location of its localization. So, if the skin has become flabby on the abdomen or on the chest, then most often this is the consequence of childbirth and pregnancy, which in general is normal. Flabby skin on the buttocks, on the neck, hands or feet, on the eyelids, on the chin, on the hips, under the eyes, on the knees, between the legs and the rest of the body becomes a consequence of too fast and abnormal weight loss. If you lose weight very quickly, then the skin, which has lost its elasticity during your fullness, has not yet had time to adapt to the liberated space, so it became flabby and saggy. However, this problem can be easily solved if you take efforts and follow all necessary recommendations. Here you will find the most efficient methods to make your skin elastic again. With age, the amount of collagen and elastin decreases and at the age of 40 the first signs of flabbiness begin to appear. The aging process is activated from about 25 years old, but depending on the genes, someone may have it earlier and someone later. If the muscles are flaccid, this negatively affects the appearance of the abdomen, and also reduces blood circulation. During the pregnancy the skin is stretched too much and after the birth of the child, not every woman returns to the ideal shape. If you notice stretch marks on the abdomen during pregnancy, then most likely, the skin will not return to its normal state. If in a short period of time the amount of subcutaneous fat decreases, the skin simply does not have time to recover, which leads to flaccidity. Such processes negatively affect not only the state of the body but also the appearance. In order to get rid of flabby skin, regardless of the reason, which caused this unwanted problem, it is recommended to take the following steps to tighten your skin. The first thing you should pay attention to, if you have dry and saggy flabby skin – this is what you eat. 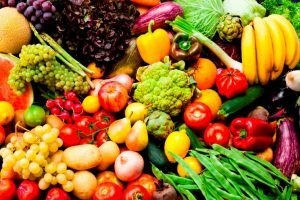 Food strongly affects the general condition of the skin, so it should be carefully chosen. It is necessary to include in the diet products that contain vitamins and useful elements. as well as fresh juices. Try to provide the body with vitamin supplements at any time of the year. Eat fresh apples in winter because they will benefit your skin. From the ways of cooking it is better to choose baking, steaming, quenching or cooking. Try to avoid fried, fatty, excessively salty and peppery foods. Eat more protein foods, they can restore muscle and improve metabolism. Drink enough water. By water is meant not tea, coffee or broth. If the reason of your flabby skin is that you have lost weight keeping to the diet that you should understand that during the diet your body lost a lot of water, and this is partly the reason for the result achieved in the form of lost kilos and, unfortunately, saggy skin. In addition, that water helps restore the vital forces of the body and, including, the skin. Thanks to water, slags are also eliminated from the body and even the most irrepressible appetite is controlled (if you drink a glass of water 20 minutes before eating, the desire to eat much will disappear). Important: Nutritionists advise to eat 5-6 times a day but in small portions. 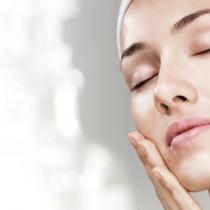 The second thing you need to do in order to restore flabby skin and make it supple is to use masks and scrubs. Of course, it will be better if you make a mask or scrub yourself using natural products instead of getting them in a cosmetic shop. 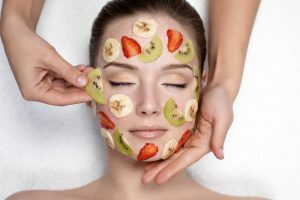 Here you will find a collection of recipes of the most effective masks to get rid of flabby skin. Preparation: This mask will help get rid of flabby skin on the chest, stomach, arms and neck. In order to cook it, you need to take two tablespoons of brewed tea, the same amount of flakes, a large spoon of yogurt and two small spoons of honey. Stir all ingredients and bring them to homogeneity. After this, give the mask a little insist, and then apply to problem areas with the help of fingers while massaging flabby skin. The layer applied to the skin should be thick. Keep it on your skin for at least ten minutes. After this, you will need to wash the mask off the skin. Preparation: Peel the pear, then grate it on a fine grater. Then in one bowl, mix the grated pear, egg yolk and a spoon of butter, warmed to a liquid state. Now add the honey to the mask and mix it thoroughly. The product is used as a mask for sagging skin. It’s very good to put it on your legs, buttocks and on your stomach. This mask is suitable for wrapping for the night. Use the blender rum to grind the wheat, then mix two tablespoons of the crushed product with a spoonful of warm water. After the wheat is infused, add one teaspoon of yogurt and shake well the resulting mask. Spread it on the skin in the places where you want to get rid of flabbiness, and after ten minutes rinse with cool water. Preparation: Olive oil is heated on a water bath, then mixed with honey in a proportion of one to three. Then the mask is very carefully mixed. It should be applied on the flabby skin with massaging movements and rinsed after twenty minutes. Use a stiff loofah and a good body scrub at least 2-3 times a week in the shower to help regain skin tone. Use a body scrub to help remove dead skin and make skin regeneration faster. 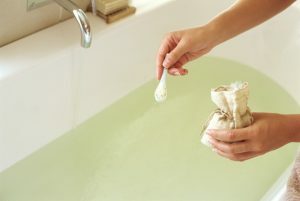 Loofah is an excellent tool in the fight against cellulite and flabby skin, it also helps to remove dead skin gently. Scrubs with sea salt and coffee scrubs are the most effective. Important: By choosing one of the proposed masks, you can make the skin elastic and forget about flabbiness and cellulite forever. And if you use masks in combination with physical exercises, the flabby skin will stop bothering you much more quickly. This exercise can help get rid of flabby skin on the buttocks and on the hips if you do it right: legs should be placed on the width of the shoulders and hands should be held behind the head or in front of them. With the weighting effect you can reach much better results. Related: Top-4 Modern Methods of Skin Rejuvenation: Stay Young Forever! It is aimed at tightening flabby skin in the zone of legs and abdomen. To do this, you need to lie down on the floor, raise your legs 45 degrees from the floor and do flies simulating the work of scissors. Push-ups from the floor are able to tighten the skin on the arms, neck and chest. You can do push-ups from the floor, standing on your knees or stretching to full length. This exercise can help to get rid of flabby skin on the abdomen and if doing the exercise in the right way, then also on the neck. Important: Besides the mentioned exercises, it is recommended to get a special hula-hup with soft spikes. It will help break down cellulite on the abdomen and thighs, as well as perfectly tighten the skin in these areas. Massage is one of the most effective ways in the fight for smooth and supple skin on the stomach. Of course, it is better to have massage done by a professional. The procedure cannot be called tender, in the process the patient may experience pain, but it’s worth it. The most effective means used during such procedures is the combination of honey and some essential oil. Oil can also be used in its pure form, anti-cellulite gel or cream. Massage from a professional gives its results. 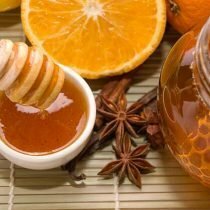 If honey is used, during patches, the abdominal skin is constantly drawn back, due to its stickiness, it helps improve blood circulation in this area, update cells and remove excess fluid. In order to see the first results, you need at least 10 massage procedures, which after a certain period of time will need to be repeated. Depending on the condition and characteristics of each patient’s skin, specialists select courses individually. You can try to make a massage yourself with the help of vacuum jars, massagers or just hands. Of course, it will take time till you achieve the first results but rest assured that they will appear definitely. Massage can be done smoothly and gently clockwise. In the process, you can use olive, peach or any other oil. An excellent tool is white clay, which regenerates the skin, improves its elasticity and improves blood circulation. First you need to thoroughly clean the skin with a scrub. This will allow the pores to open and take all the beneficial trace elements from honey and masks. After cleansing, the selected remedy should be applied to the problem area and wrapped with food film. Then you can lie down or do household chores for 30-40 minutes. At the end of the procedure, remove the film, take a shower and apply a moisturizer. Important: It is worth remembering that if you have increased sensitivity to cosmetic preparations, there is an allergy when using natural remedies or skin becomes numb in the area, it is advisable to consult a doctor before using one of these methods. Bath also has an excellent effect on the skin, tightening, removing slags, expanding the vessels and thereby improving the saturation of tissues with oxygen. After the bath, the skin is smooth, refreshed and taut. The contrast of the temperatures is excellent for the tone of the skin – this is when from the steam room you get under a cold shower, and then again you run into the steam room. Salt baths rejuvenate the body and especially the skin. You can take them with essential oils or you can use only salt. After lying down in the water for 15-20 minutes, do not forget to rub your hips, buttocks and stomach with a stiff washcloth – this will improve blood circulation. After a bath the best way is to put a lifting cream on problem zones. They are able to tonify and tighten the skin. Baths are beneficial only if they are regularly taken. It is usually recommended to take baths in courses of 10-15 baths (daily or every other day). Important: Salt baths can be done once or twice a week for a long time, or take courses, for example, in a seaside resort for 2 weeks. If you have tried all methods mentioned above but still not completely satisfied with the result, then you should take one step to make your skin perfect by using the help of specialists who will choose the most appropriate method to get rid of flabby skin. This method is based on the introduction of intradermal high-performance cocktails containing active substances, vitamins and minerals. The technology allows not only to eliminate the effect of flabby skin of the face, abdomen or other part of the body, but also to increase elasticity and correct deep creases and wrinkles. With the help of mesotherapy you can also get rid of pigment spots, scars, vascular asterisks, acne and dilated pores. The technology is universal, procedures can be carried out all year round. It is an injection technique of skin rejuvenation based on hyaluronic acid preparations. This substance increases the volume of tissues, enhances metabolic processes in the skin, retains moisture and provides elasticity. As a result of the introduction of hyaluronic acid preparations, the skin quickly restores elasticity, acquires an even relief and color. Hyaluronic acid promotes the growth of fibroblasts, has a pronounced antioxidant and stimulating effect. The result is visible after the first procedure – the elasticity of the skin increases, it acquires smoothness and a healthy appearance. The uniqueness of biorevitalization lies in the fact that not only the appearance is improved, but also the structure characteristic for young healthy skin is restored. The technique is an excellent alternative to plastic surgery. It is achieved by starting the tissue regeneration system and restoring the collagen-elastin skeleton system that form the basis of the elastic young skin, the combined action of pulsed light and radio frequency. This results in intensive and controlled heating of tissues at the required level. This leads to the renewal of old structures and the formation of younger cellular structures of the skin. Unlike the surgical braces, the subcutaneous tissue and skin from the inside are rejuvenated. It is used to combat flabby skin on the abdomen, face and neck. As a result of the procedures, the skin is noticeably smoothed, metabolic processes in muscles, tissues and subcutaneous fat are enhanced. Microcurrent therapy promotes the rapid regeneration of tissues, the synthesis of collagen and elastin dermis. During the procedure, special cosmetics are used, saturated with collagen, amino acids and vitamins. The effectiveness of the technique is achieved due to the fact that microcurrents deliver useful substances into the deep layers of the skin. Its effect is similar to taking medications. Useful substances as a result of the procedure enter the body in the fastest way – through the skin. High efficiency, lack of rehabilitation period, practically no contraindications provided this technique with wide popularity. Contraindications are cancer, hypotension, thrombophlebitis and heart disease only. Important: Use the help of professionals only if you have tried natural methods and didn’t like the result you got at home as the salon procedures aren’t cheap and some of them have contraindications that should be taken into account.